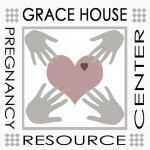 Grace House exists to empower abortion-vulnerable individuals to make life affirming choices by offering education, resources, and the love and hope of God. Provided 968 ultrasounds to show the reality of new LIFE! We want to have many more chances to reach people like Allison. 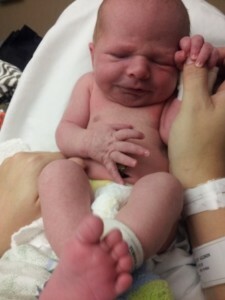 She came with abortion on her mind, in circumstances she saw as hopeless. She received a pregnancy test which she saw was positive, was educated on her baby’s development & was offered an ultrasound. She heard that God knew her situation & was knitting her baby together even now & that He had a wonderful plan for her child’s life & also for hers. She left, still leaning toward abortion. God had us praying for her. She came for her ultrasound appointment & saw her 19 week-old baby on the screen. Even after that, she left leaning toward abortion, not knowing HOW she could do this! We continued praying for her. God was at work. Not so very long afterwards, she came in & told us that, as she’d waited on having the abortion, things had begun to fall into place. She could now see a hope & a future for her with her baby. Several months later I got a call from her. “Can you come to see my baby boy, born last night?” She handed me a beautiful bundle & I looked at him in wonder at God’s handiwork & told her just how beautiful he was. Through tears she told me how grateful she was that Grace House was there for her when she had no hope. 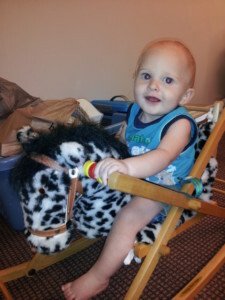 She said if it had not been for us, she’d never have had her precious baby boy, Dylan. More stories develop at our centers daily! God is at work through Grace House! Won’t you consider joining God’s work here?